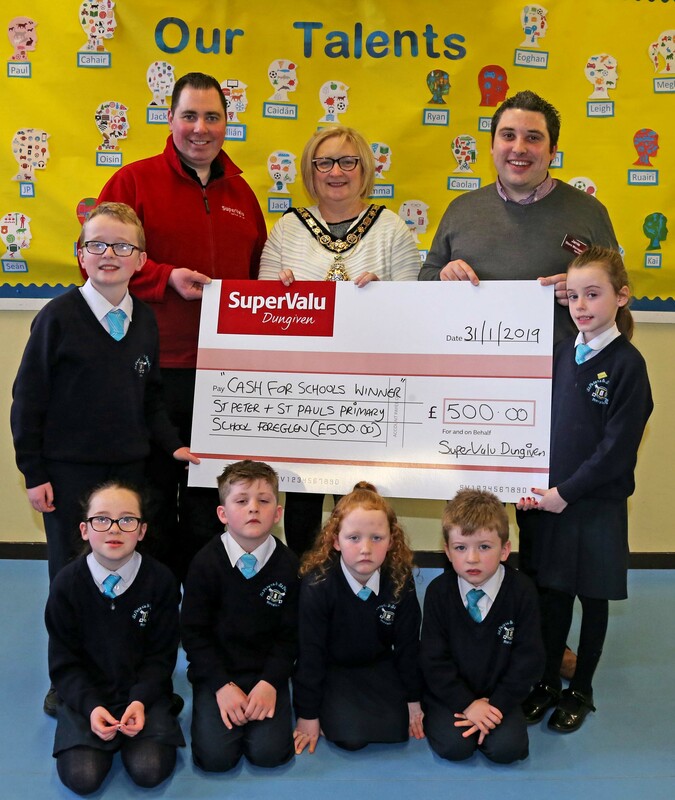 The school was recently named the overall winner of the Cash For Schools scheme ran by SuperValu in Dungiven. Councillor Brenda Chivers was joined by representatives from the store at the presentation event. “We wanted to give each school who took part a little something to say thank you for their support so they will each receive £100 to use in whatever way they want. The Mayor of Causeway Coast and Glens Borough Council Councillor Brenda Chivers pictured with Jamie and Gerard from SuperValu in Dungiven and pupils from St Peter’s and St Paul’s Primary School in Foreglen.